Solving the issue of creating a multidisciplinary medical center or opening a small medical practice, specialists try to rely solely on quality equipment, with which there will be no problems in the course of its operation. However, for many of them, it is often expensive to buy new equipment for a clinic. In this situation, sales of used medical equipment by Leomaschinen can help you. in emergency ambulance stations, etc. Each unit of equipment delivered to the customer from the catalogs or under the order, is preliminarily tested: its current condition, technical characteristics are checked, defects are identified. To consumer are delivered only those structures that are suitable for operation and that can effectively perform their direct tasks. Today it is possible to buy used medical equipment from abroad of almost any profile, depending on the needs of the customer. Most often, this technique is brought to the market due to closure of private practice, liquidation of a clinic. In some cases, enterprises write it off after a certain period of operation due to replacement with more modern, improved models. therapeutic systems (mobile clinics, oxygen concentrators, multifunctional medical diagnostic complexes, shock wave therapy devices, defibrillators, all kinds of laser equipment). Especially high demands are made in relation to used equipment for medicine, taking into account that the health and life of patients will depend on its reliability and accuracy. The management of hospitals and polyclinics, deciding to buy used medical equipment from Europe, pursues two goals: modernization of old equipment against the background of saving the company’s funds. This step allows you to acquire second-hand equipment and installations that meet all the requirements of the industry, but are lower than their analogues, recently left the conveyor. This investment pays off quickly and brings maximum benefit to both the hospital and its patients. 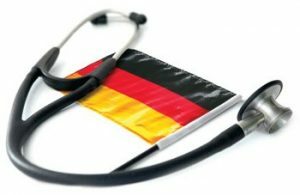 Among wide variety of developments used by healthcare institutions, special value is represented by used medical equipment in Germany. Everyone knows that this country is famous for its high level of medicine, constantly introduces innovations, demonstrates the ideal equipment of clinics. The Germans are interested in frequent renovation of the material and technical base of medical institutions, so used medical equipment from this country often has an ideal state. But even the devices, which have been intensively exploited by German doctors for several years in a row, retain their functional and worthy appearance, as local specialists take care of the property of hospitals. 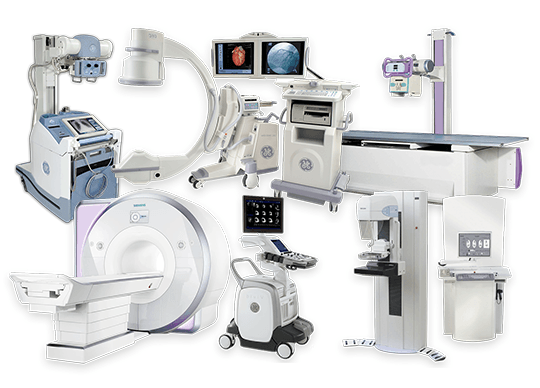 We deliver used medical equipment from Germany with the most favorable conditions for the client! MRT. The system is in very good technical and optical condition. If you are seriously interested in further details, please inquire. The price of a Country Clinic with 10 beds as basic model amounts to approx. 2.5 million Euro including the entire medical facility, the drinking water system SWS, the entire energy supply with battery storage for night operation, as well as initial clarification of our project manager on site to clarify important details and the transport to the port of Hamburg, Rotterdam etc.